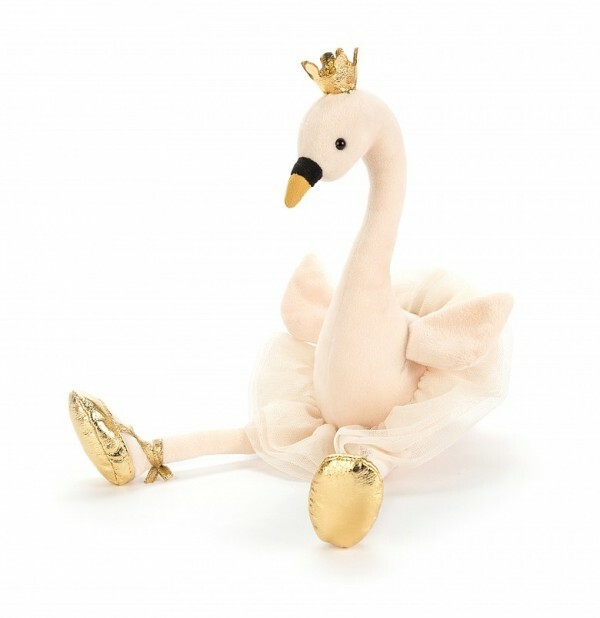 Fancy Swan loves playing princesses in her glorious golden crown and shoes! Her perky cream wings and long neck and legs are perfect for going on parade! With a beautiful detailed soft beak and flouncy tutu in soft vanilla mesh, she's every inch the royal sweetie. Give her queen-sized cuddles! SAFETY & CARE Tested against and passed ASTM requirements. Suitable from birth. Made from 100% polyester. Hand wash only; do not tumble dry, dry clean or iron. Not recommended to clean in a washing machine. Check all labels upon arrival of purchase.